Big Island police are renewing their request for help in locating 28-year-old Mauro Martin Ortiz, who is wanted for the sexual assault of a female minor. The sexual assault occurred early on the morning of June 22 in the Hawaiian Paradise Park subdivision of lower Puna. On July 10, a grand jury indicted Ortiz with kidnapping, seven counts of first-degree sexual assault and five counts of third-degree sexual assault. He is still at large. 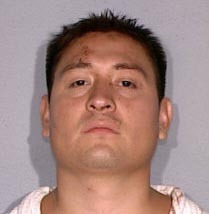 Police believe he may be in the Kona or South Kohala area. He is described as Hispanic, 5-foot-6, about 180 pounds with brown eyes and brown hair. Police caution the public against approaching him, and advise them to call police if they see him. Police ask anyone with information on his whereabouts to call Detective Alston Kimura at 961-2278 or the Police Department’s non-emergency number at 935-3311. Tipsters who prefer to remain anonymous may call Crime Stoppers at 961-8300 in Hilo or 329-8181 in Kona. All Crime Stoppers calls are kept confidential.